The 2018 JWRC title will be hotly contested. The 2018 FIA Junior World Rally Championship is gearing up to be a truly global series with the first competitors confirmed following a preliminary selection process at M-Sport in Krakow on 15 December. Eight entries have been confirmed which includes nationalities from three continents – two from Italy and one each from Chile, Ireland, Latvia, New Zealand, Sweden and the United Kingdom. All will do battle behind the wheel of identical one-litre EcoBoost Ford Fiesta R2s for one of the biggest prizes in motorsport. Competing on snow, asphalt and gravel, the victor will have proven their skills on all surfaces – claiming a brand-new Ford Fiesta R5 as well as 200 tyres from Pirelli and competition fuel from Panta to contest the 2019 WRC 2 Championship. Former NZRC champion, David Holder, is the New Zealander who will compete in the 2017 JWRC. Entries remain open until 16 January when the final selection process will take place and a full list of competitors will be announced. “The 2018 FIA Junior World Rally Championship has proven to have a truly global appeal with competitors from three continents and seven different countries already confirmed. 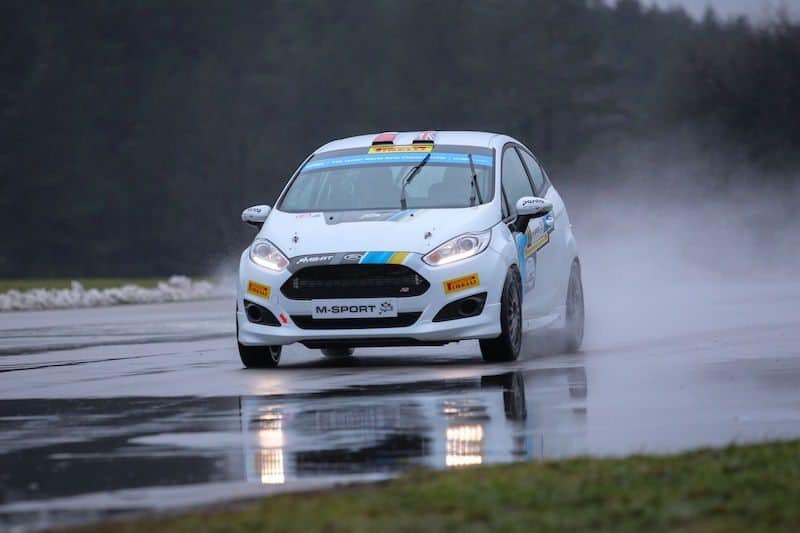 “With its mix of snow, asphalt and gravel, this series provides the perfect platform for young drivers to showcase their skills – all competing in identical Ford Fiesta R2s on rallying’s most famous stage. Note: A full list of drivers names have not been released. David Holder, however, has confirmed his entry via press release.